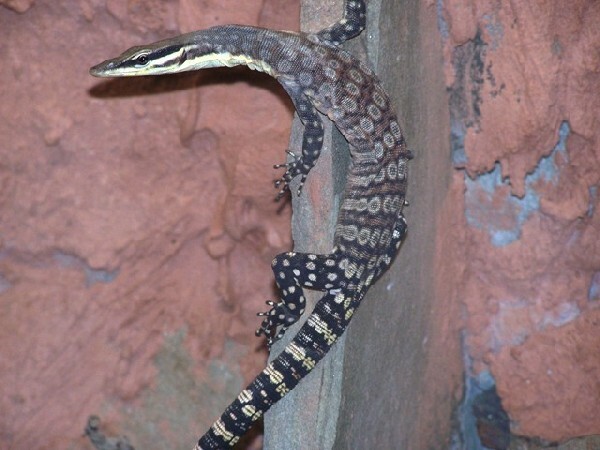 This female Kimberly Rock Monitor is just hanging out in our herp photo of the day, uploaded by kingsnake.com user bob! Be sure to tell them you liked it here! 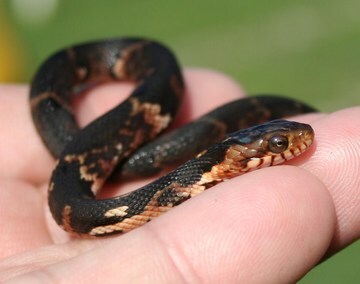 So small and precious, this baby Broad Banded Water Snake in our Herp Photo of the day, uploaded by kingsnake.com user cochran is so very adorable! Be sure to tell them you liked it here! Think this Cham in our herp photo of the day, uploaded by kingsnake.com user 1Sun a little hangry?! Be sure to tell them you liked it here! Is this Irian Jaya Jag in our Herp Photo of the day, uploaded by kingsnake.com user StonedReptiles bright enough for you? Be sure to tell them you liked it here! 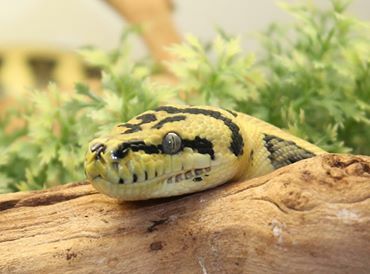 We hope this Ball Python in our Herp Photo of the day, uploaded by kingsnake.com user toshamc,will bring you a lot of Christmas Cheer! From our family to yours, we wish you a safe, healthy and happy Christmas! Be sure to tell them you liked it here! Males of Lacerta viridis, the European green lizard, are an intense dark green with blue jowls. Memories sure help keep us going. Initially I was going to blog about the first red Carolina pygmy rattler I had ever seen way back about 1956 or 58. Then I said no. Let’s talk about black rat snakes in the derelict houses along Rte 1 up in VA. Or maybe rainbow snakes along Rte 17 in SC. But then I happened across a photo of a western green lizard in Topeka, KS and got to thinking about Quivira Specialties Company. Quivira Specialties was a mail order live creature and curio supplier. One of the first, it was owned by Charles E. and Mae D. Burt. I learned about the company after reading their ad in the magazine “Outdoor Life”. I was probably in one of the junior high (now middle school) grades at the time so that make the time period in the 1950s.